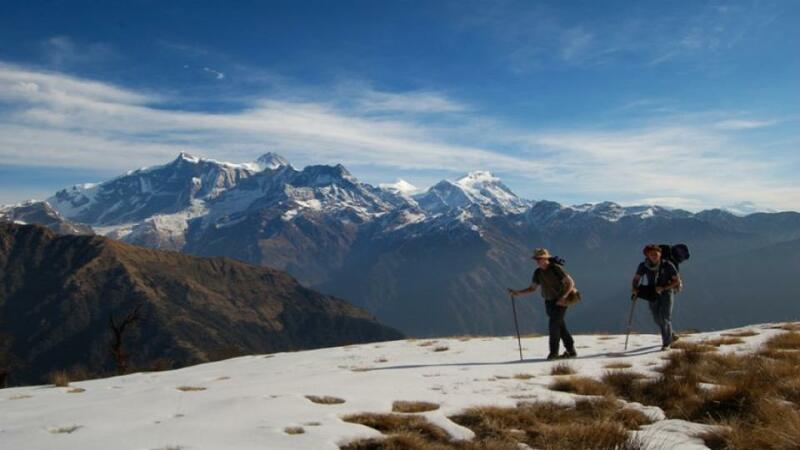 The Mardi Himal trek is a comparatively new route situated in the Annapurna region which was opened in 2012 and has yet to drive more trekkers like other treks in the region. The first attempt of Mardi Himal was made in 1961 route via East Flank and it is the only used route so far. Camping, tea house or tented trekking will be possible to do in the relevant areas. 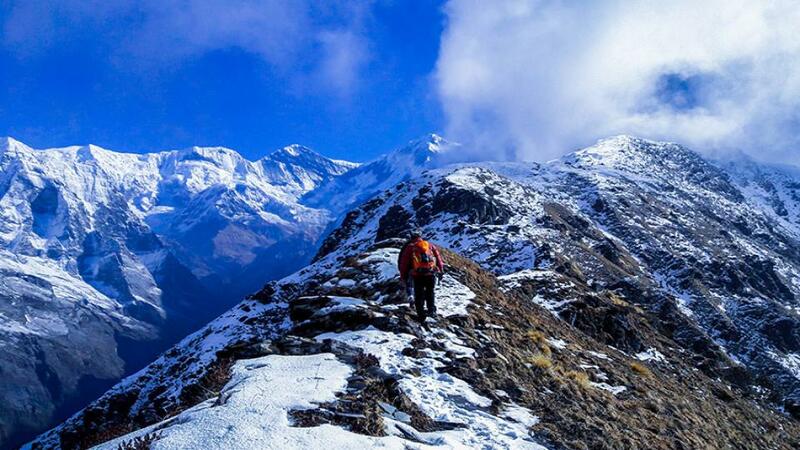 The trek is one of the Eco-tourism based trekking destinations of Annapurna region in Nepal. It is a peaceful trekking route with very few trekkers along the way. That’s why it is a hidden gem of the Annapurna region. Mardi Himal Trek is about a week long trip in the Himalayas with stunning views of snowy peaks through small Nepali villages. The highest point of the Mardi Himal Trek is at 4,500 meters (14, 763 ft.) which is Mardi Himal Base Camp .Mardi Himal Trek also pleases you with the beauty of flora and fauna. The trail begins from the very lovely lake city “Pokhara”. You can get to do boating in Phewa Lake and enjoy spectacular views of Annapurna region Himalayas from this city. The trekking trails leads you to Deurali forest camp, low camp , High Camp, Mardi Himal base camp and when you return back, you will be trekking down through the different villages like Sidhing, Lwang and Phedi. It goes along small winding paths, through magical rhododendron forests until you climb out of the forest at an elevation around 3,300 m, the landscape changes quite unexpectedly into a rugged high mountain landscape, with amazing views of Mardi Himal, Machhapuchhre, Annapurna South and Hiunchuli . A moderate level of fitness is required to trek in this region. However there is no direct climbing included. You should trek over some rocky areas close to high camp and base camp. 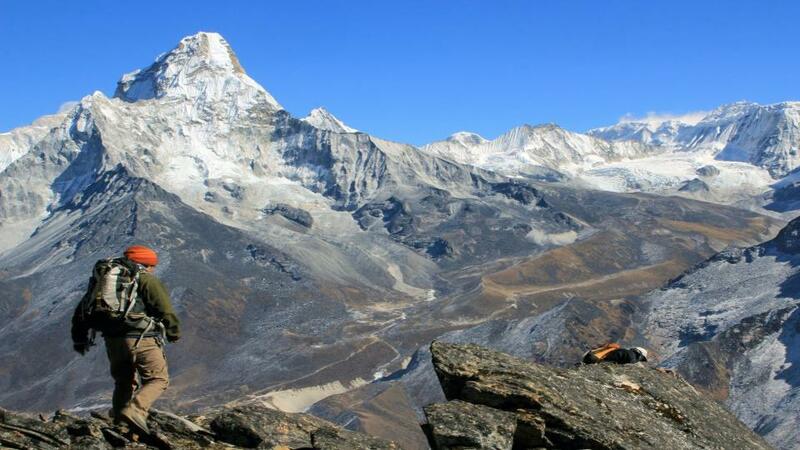 Mid-September to Early December is the peak time to do trekking in Nepal. However you can skip the monsoon season which is June to early September and choose to trek any other season. Namaste Treks can arrange the trips to begin on any date during the trekking season in Nepal and according yours time frame. We will take care of your all needs and desire during the trek. Sightseeing of the culturally rich city, Kathmandu. Scenic drive or flight to and from Pokhara. Observing various species of flora and fauna. Welcome to the beautiful land of Himalayas. Our staff will pick you at the airport and drop you to the hotel. Today we will have a full day excursion to the lovely Kathmandu city. We visit the UNESCO world heritage sites herein, like Kathmandu durbar square, Pashupatinath, Boudhhanath, Swyambhunath, and so on. Then you can spend the evening preparing for the trip or roaming around the city. The drive to Pokhara takes around 7 hours. The road mostly takes on nearby the thundering rivers that might give us some views of rafters enjoying another part of Nepal. We will be driving via several green hills with views of houses and villages in the cliffs. You can also choose to fly there which takes 25 minutes. After reaching Pokhara, if the time permits, we can walk around local markets and lakeside in the evening. After breakfast, drive for about 40 mints to Kande on Pokhara Baglung highway. The clearing in the forest with lodge settlement is known as ‘Australian camp’. The place is scenic with the panoramic view of Annapurna range and Pokhara valley. Then we trek to forest camp for about 5 to 6 hours. It is a journey through the wilderness of rhododendron, birch, oak and other trees. We set up camp for overnight stay. Low camp has got couple of tea houses in the clearing of the forest. The view of Mt Fishtail and Mardi Himal appears much closer. The trail is steep at the beginning however changes to gradual climbing after a while. We reach low camp after trekking for around 4 hours . This is very small places with only couple of lodges opened for providing basic meals and accommodation to trekkers. Just a short, steep climb and we are out of the forest. Walking over the Nange Danda (Naked Hill), we make our way to High Camp. Spotting the beautiful bird called Himalayan Monal; also known as the impeyan monal, impeyan pheasant and danphe in Nepali is easy around here. This is a colorful Himalayan bird represented as the national bird of Nepal. Here you find yourself above the clouds and closer to Himalayas. Today is the main day of the trekking; we ascend to the Mardi Himal Base Camp from the high camp. The day trip is more difficult than other days with steep climb and longer walk. The first steep climb will take about two hours to the ridge top which is marked as MBC (Mardi Himal Base Camp). However the real base camp will take about another two hours along the ridge. The view is amazing all along the ridge. While Mardi Himal and Mt Fishtail appear right above us, view of Annapurna I, Gangapurna and Annapurna III also appears at a distance. Then we return to high camp spend the night there. The journey to Lwang village is of around 4 hours. The trail climbs down steeply through rhododendron and Maple forest to the permanent settlements closer to valley basin. Lwang is a self-sufficient Gurung village with rich culture and happy people. The village is the best place to watch Nepalese countryside lifestyle and enjoy the organic food. The village farmers also grow organic tea in 50 hectors of land. Farmers offer homestay accommodation. We go down to the Mardi River basin and drive back to Pokhara. It will take about 1 and half hour to get to Pokhara. The first 1 hour is drive on the dirt road. We spend rest of the day relaxing and enjoying the tourist hub in Pokhara. We take a bus or fly back to Kathmandu today. You could do some shopping nearby the hotel in Thamel and prepare for your departure. We bid you farewell today. Or move to another place if you have more itineraries to do or extra activities. If you don’t have, our representative drops you at the international airport for your departure. Thanks for joining us for your memorable trip. See you.